Hang out with friends, kill some monsters and prepare for unique events. Every player in Prospekt is writing his/her own story. Expect The Unexpected! 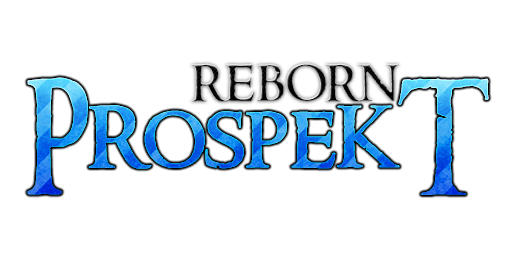 Prospekt is running on Eclipse Origins modification called Eclipse Reborn (that modification is made by me). It is using DirectX8 for rendering and graphics and FMOD for music and sounds. Our game is programmed in Visual Basic 6. Server is online 24/7 and it should´t have very high ping, so download an play! Maybe we will wipe accounts later, becouse of big planned updates, but remeber this is pre-alpha, so do not expect much. 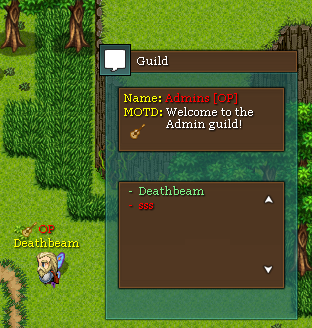 We do not have any storyline yet too, so all content in-game is only for testing purposes. Game is using RPG Maker VX modified tiles by Celliana and Valkyria RMXP/VX mixed tilesets. If you wanna see in-game help enter this: /help to chat. Knowledge. Knowledge is the one true desire of all races. Knowledge is both a blessing and a curse. Fire is a prime example of this. While it can help cook food and boil water, it can also devour entire civilizations. Magic is no exception. Magic flows through the very fiber of the universe. It can be found in the smallest hare running through a common field, but also in the unmoving stone next to road. Some beings are able to focus the magic within themselves without realizing it. There are, however, those who can use magic for the good of others. Somewhere in the vastness of the creatures that recognized the presence of magic lie the human race. But magic chooses its masters. Those who were chosen by the ancient will of magic called themselves Prospektors - The Pioneers of magic. Prospektors made a vow that they would only use magic for the good of others. They also reluctantly agreed to teach the rest of race the proper way of focusing their inner magic. The strongest of the Prospektors, Oagi, craved the ability to make others do his bidding. Through his many stuggles and experiments he discovered he could take the very foundations of magic out of another soul, and take it into his. And a body without magic is like a flower without water, over time it wilts and dies. Oagi either did not care or did not know it at first. First, while he still managed to keep his mind in one peice, his greed for power from lower beings grew terribly idle. He decided that the people of the land were the only strong enough source of magic to even consider devouring. When the other Prospektors became aware of this, they tried to stop him. Hell was unleashed. In this terrible war Oagi almost exterminated Prospektors. Only the five most humble magically intuned survived: Syraine - The Prospektor Druid, that could control nature with magic. Uattus - The Prospektor Pyromancer, who could control the element of fire. Airalys - The healer. Iodine - The master of the air. And Ilaus - The holy mage. These last five Prospektors banded together for one last stand against Oagi. After a long and terrible battle, they managed weaken Oagi enough so they could bind him into granite rock. Our world has changed. After the war three major cities were built: Atlantis - A city where people realized the dangers of magic and so renounced it. In Atlantis arose the world of science. The Second City was Utya - A city where the people worshiped the five Prospektors for what they had saved them from. It is here where the study of white magic is found. The Third City - Elautus, where it's dark streets are home to the worship of Oagi. Black magic of the ugliest kind is studied intently here. The Fifth Prospektor - Ilaus was killed in his divine sleep 7 years after the imprisonment of Oagi. detaining Oagi is beginning to fade. Even with his restraints, Oagi has managed to bring many dark creatures into the world. The 4 remaining Prospektors do not have the strenght to restrain Oagi once again. However, a prophecy says that one day will be born a hero who manages to overcome all the pitfalls made by Oagi and with other Prospektors finally destroy him. characters they can change their: Gender, Gear, Hair, Headgear, Armor. Advanced maps - Maps can have Fogs, Tinting, Panoramas and even great Map Lights at night. No classes - We did not add classes to PR, so players can decide what role they wanna be like. 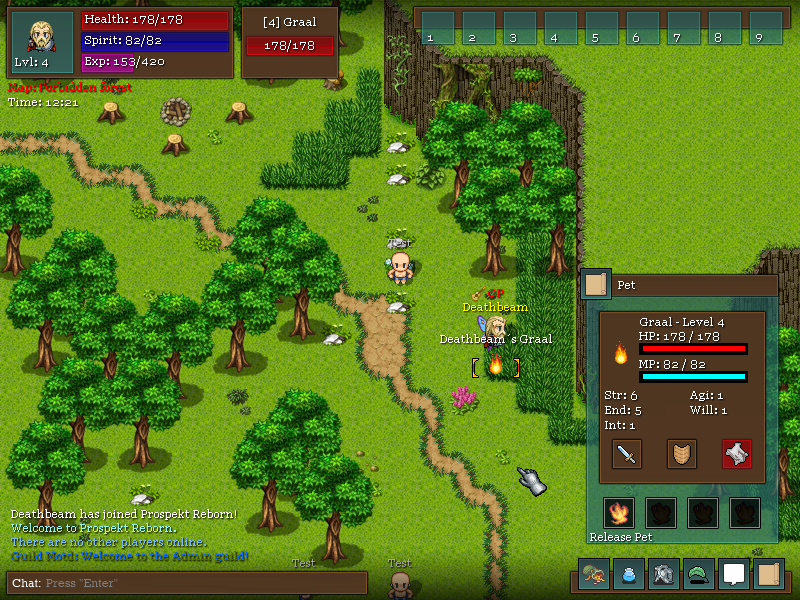 Trade Skills - Everything will be like real life (woodcutting, mining, fishing, cooking, crafting...) Currently we have implemented - Woodcutting, Mining, Fishing, Smithing, Cooking, Fletching, Crafting and Alchemy. PvP, PvE and EvE - Combat is not very advanced, but we done as much as we can. Players and NPCs can shoot projectiles, cast spells, use buffs and heals and do close-range combat. Advanced Bosses - Bosses in Prospekt will be most encouraging. Do not solo them, they are powerfull enought to handle "solo cowboy" player. But as usual, you will get great reward for defeating boss, and game will inform all players in-game, that you defeated that powerfull enemy. Real night and server-sided game time - Be aware of night, becouse it is dark and some creepy enemies can attack you from behind. In this update we added some things what players requested. I also edited some Wiki articles on Prospekt site, to provide informations about new systems. Ok this is really last installer. I made this new one, becouse i changed many things in latest patch and also i updated Launcher, so now it is working. This is final version of our installer with latest Prospekt Reborn version. 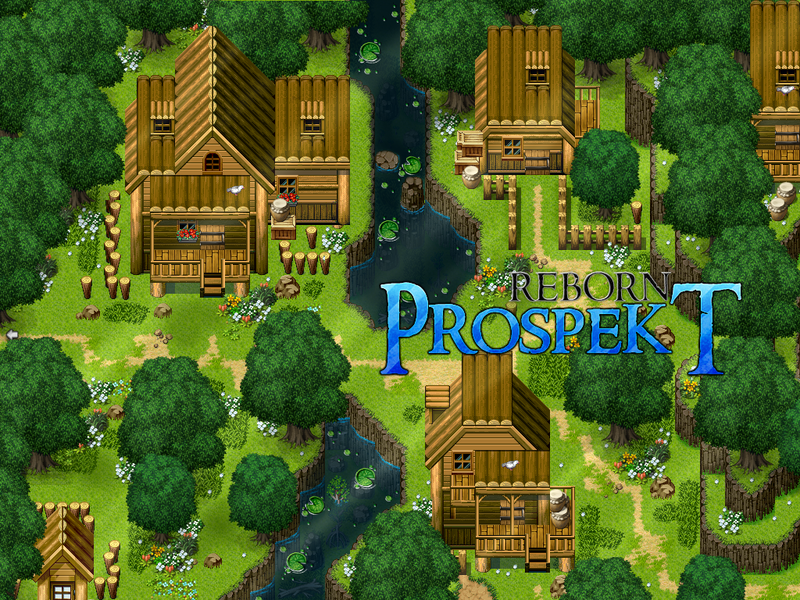 So we finnaly made installer for Prospekt Reborn. This installer will install PR v0.0.11 and all runtimes required for its run. Okay, which one is working?. I download 2 of them , and none of them can be accessed. A connection to the update server could not be made. atm, we can play only on the newbie map? why do you guys have a moddb icon for the gameicon? Becouse when i was adding PR to indiedb, i do not had any icon for it.